Just out of interest, anyone who has a wind vane mounted on his/her Hanse? 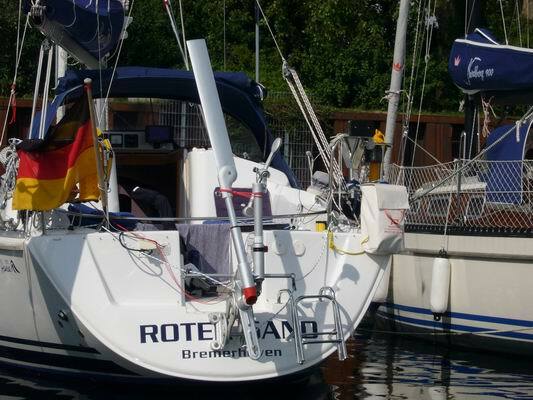 I have a Raymarine wind vane on my 312. It is connected to my Raymarine autohelm. The Simrad IS15 sounder/log instrument supplied by Hanse is also connected to the Raymarine instruments using a Simrad/Raymarine interface. With the Garmin GPS connected into the Raymarine net using the NMEA0183 input all the instruments talk to each other and everything works fine. Alan, Thanks for the reply. Could post some picture of the wind vane installation? I'm also interested on how you connected it to your autohelm. Sorry about the rough sketch but I don't have any photos of the vane mounting! I led the wire down the mast, through the wiring gooseneck, then across inside the headlining. I then led the wire back to the pedestal (I have wheel steering) and up into the instrument pod. As the windvane and the autohelm are both Raymarine I simply connected the wind instrument to the autohelm instrument with a standard Raymarine Seatalk lead (see photo below). Ah, Alan, thanks for the work and posting. However..... I meant a wind vane to steer the boat without electricity or so ;-) The object you put behind our boat... a wind steering device. Hi Gregor, we use a windpilot on our 315. 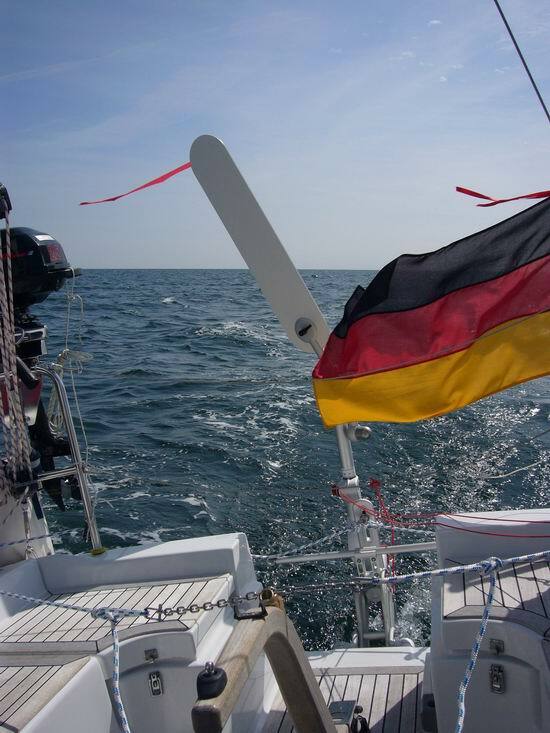 Our experience with the windpilot is great and it also works very well on the baltic sea with the wind changes. If you click 'reply' from the post itself, then you'll find a menu above the text area where you can click on a picture upload button. Make sure you have resized the pictures to a reasonable size. here is an other one. It is a little quirky & it took a while to understand. But I do like it. the stronger the wind the better. 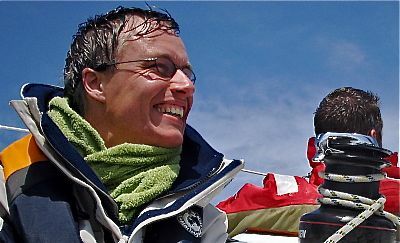 Downwind Its performance is often affected by waves. the wide stern of a 311 makes the boat directionally unstable as it heals & waves affect the balance. If the water is fairly flat or the wind fairly steady giving a constant heal angle the boat will run down wind as if on rails. In a lumpy sea & gusty wind it will run around like a dog on a lead until you select the right wind vane & vane angle. Up wind it steers better than a helmsman never loosing concentration or tiring. Thanks for your detailed information, Samuel. Do you have any pictures you'd like to post? I'm curious on how you managed to install it, knowing that the ladder is at the stern too.